William L. Ingram is a retired entrepreneur and service business owner. After 40 years of calling R. I. home he now resides in the Tampa Bay area of Florida. Since publishing his memoir in 2016, he has been busy with the challenges of an Author. In 2017 his book received 2 President’s Silver Book awards (cover design and memoir) from the Florida Authors & Publishers Assoc.! An avid reader of several books at a time, Bill is also a movie buff, and has a good working knowledge of history. Always ready to share his opinions, he is now reaching out through his blog posts to those interested in spiritual and personal growth. Finding Heaven in the Dark by William L. Ingram is the author's compelling and insightful story of personal struggle filled with nostalgia and faith in God, which makes him believe that God has a plan for everyone. Though each one of us has a different journey to undertake, it is important to submit ourselves to God to experience His unconditional love. The book chronicles Ingram's journey from being born to a black, unwed mother in 1949, the 1960s theme of race relations, political instability, assassinations, and the Vietnam War, and how they all influenced him to change his life from that of self-destruction to that of having a better meaning and purpose. The political backdrop, coupled with spiritual transformation, makes this memoir different and unique. 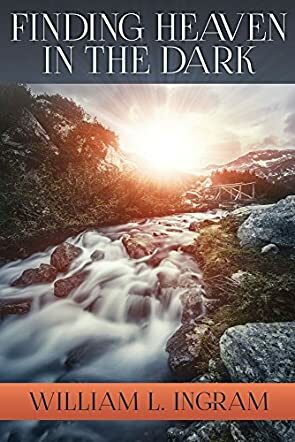 It is a story of loss, redemption, and faith and how the author’s faith in Christian meditation guides him is interesting. The book is honest and I admire the author’s courage to share the dark phases of his life, his rebellious attitude, and confused state of mind with readers. His discovery of life saving and life affirming principles, and his journey of self-discovery and awakening are enlightening. The book will ignite the curiosity of all those who are striving to find a purpose in their lives, an inner meaning, and also to learn more about themselves and their identity. The book is detailed and descriptive and the author takes readers right into his life and the spiritual transformation undergone by him. I like his perspective on meditation; it is quite interesting yet deep at the same time.